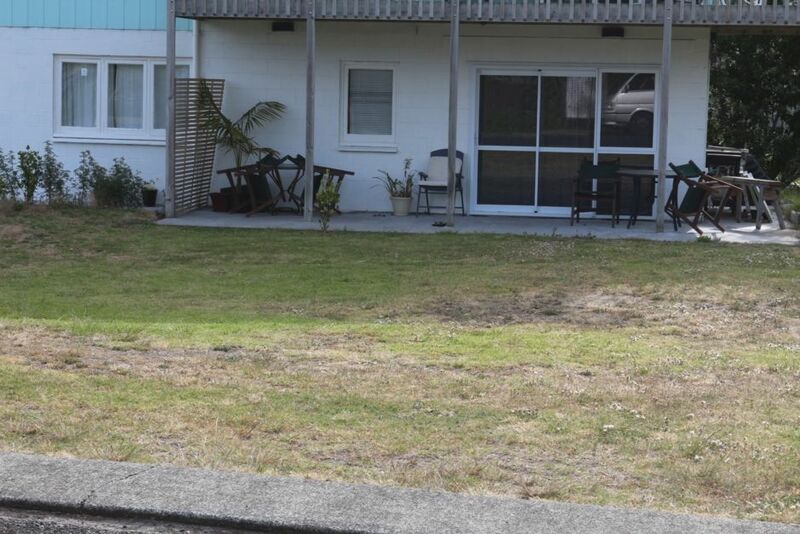 Come and relax at our clean and tidy 2 bedroom unit across the road from the beach. Nice quiet area. Good sized main bedroom. King size double bed very comfortable with TV. 2nd bedroom is small. Max no of persons recommended is 2 adults and two children. BBQ. Frying pan. Microwave. No oven or elements. 2nd bedroom is very small with two single beds so max 4 people comfortably. Preferably two adults and two children. Reasonable price for a tidy clean unit across the road from the beach. Lounge area has TV. SKY but need own card. Check in not before 1.30pm, check out before 10.30am please. No smoking inside please. Report any damage. Rubbish bag provided, please put this out by the roadside power pole on Sunday if possible. Recommended suitable for 2 adults and 2 kids max. Park outside ranch slider area only please. Has most things you will need. It is a unit below another unit we do not rent out. Please let us know if there is something you need and we will do our best. NOTE: Under Kiwi Bach tradition you are expected to: Clean the house and do the dishes before you leave; Linen, towel sheets, pillow cases etc supplied. We do not live far away if you need anything. Grateful for my family, working with kids, my awesome husband, our beautiful country. Shower. Nice new vanity. Heater. Heated towel rack. Good lighting. Clean area, has sink and bench, air roaster. No stove top or oven. can connect your device. Computer to use through the Tv screen. Great little place, nothing fancy, perfect little beach location.